Paul Klee’s singular drawing Angelus Novus, with its evocation of mystical realms, has a history that echoes the philosophical and political turbulence of its time. It was created during a breakthrough year in Klee’s career: in 1920 he had his first large-scale exhibition in Munich, was about to join the Weimar Bauhaus, and completed his artistic credo, “Creative Confession,” in which he set forth his metaphysical perception of reality. The supernatural beings that inhabit Klee’s work—during the last years of his life he created some fifty celestial angels—must be understood in that metaphysical context. This drawing intrigued the German Jewish philosopher and literary critic Walter Benjamin (1892-1940), who purchased it in 1921. After World War II Benjamin’s lifelong friend, Gershom Scholem (1897-1982), the distinguished scholar of Jewish mysticism, inherited the drawing. According to Scholem, Benjamin felt a mystical identification with the Angelus Novus and incorporated it in his theory of the “angel of history,” a melancholy view of historical process as an unceasing cycle of despair. In September 1940 Walter Benjamin committed suicide during a thwarted attempt to flee the Nazi regime.||There is something almost mystical about the presence in Israel’s national museum of this pivotal work, once the prized possession of two of the greatest Jewish thinkers of the twentieth century. 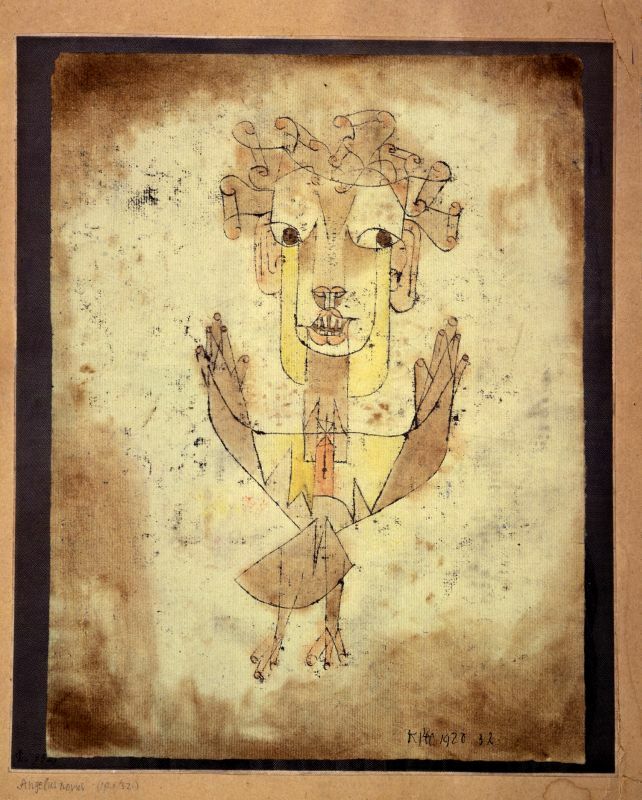 In a curious final coincidence, Walter Benjamin’s interpretation of this drawing became the inspiration for German artist Anselm Kiefer’s sculpture Angel of History: Poppy and Memory, 1989, also in the Israel Museum collection.